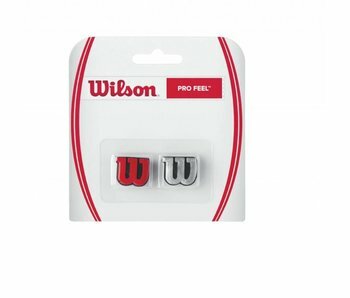 Wilson's Pro Feel Dampener comes with two dampeners in the form of Wilson's classic W logo. Blue and Yellow. 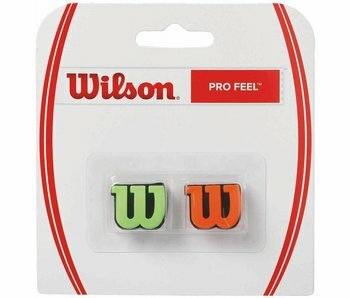 Wilson's "W" dampener two pack. Not prone to coming off the racquet during play. 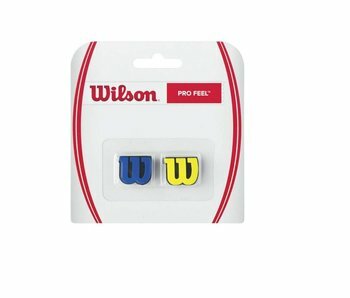 Wilson's Pro Feel Dampener comes with two dampeners in the form of Wilson's classic W logo. Red and Silver.